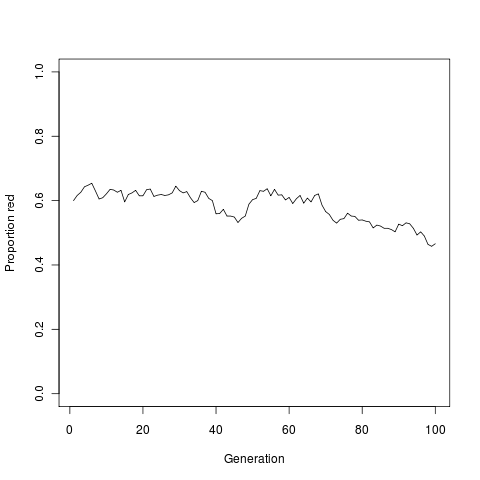 generation of the population (N=10). individuals will have different numbers of offspring, by chance. although if the population is very large it will have less effect. 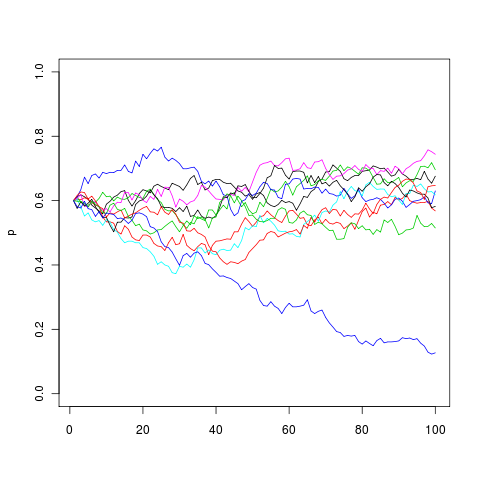 by the following transition probabilities. start off with 60% red individuals. all replicates at once, but still one generation at a time.